I had reached at Kusatsu Onsen Bus Terminal, and I ate soba for lunch at old restaurant Okame – branch shop (おかめ支店) in the Bus Terminal. 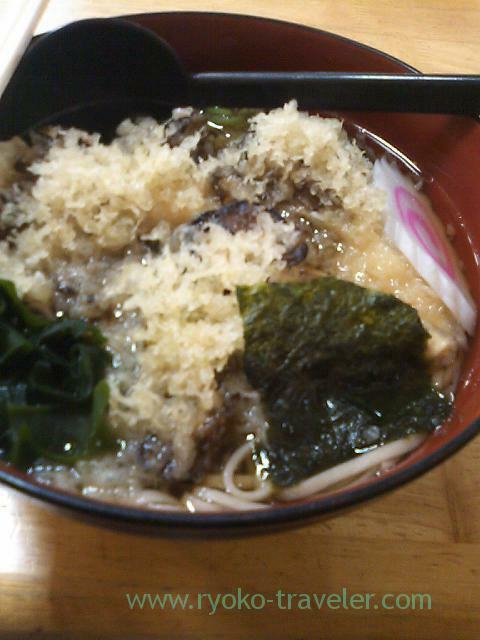 *Maitake mushroom tempura soba (舞茸のてんぷらそば) forgot its price, around 700 yen. I don’t like the soup because it’s too sweet for me, but the name of its primary product deep fried maitake mushroom is very good. It was covered with a crisp coating. Tantalizing aroma of maitake mushroom. Excellent. It sells at Honda Miyage-ten (本多みやげ店). I had been wanting to eat the soft ice cream. Onsen eggs(onsen tamago) taste. Slightly yellow colored. Like a custard. 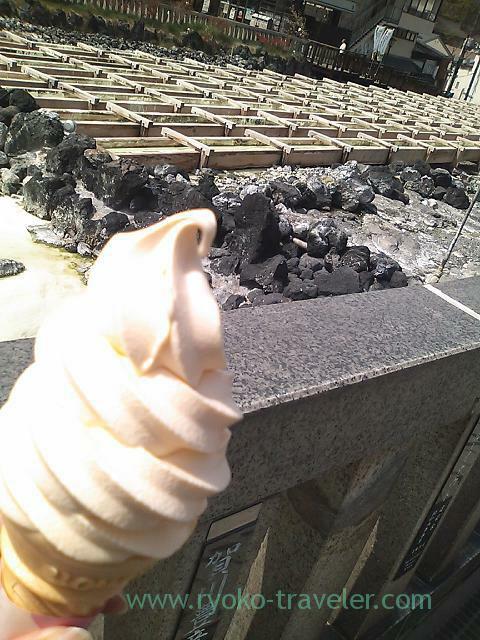 *Onsen tamago soft ice cream (おんせんたまごソフト) 300 yen. Eggs taste? What? I can’t find the tastes of “onsen eggs”. Because soft iced cream is ordinary contain eggs. It is, too. But it tastes good, seeing Yubatake. Feeling of simpleness 🙂 . 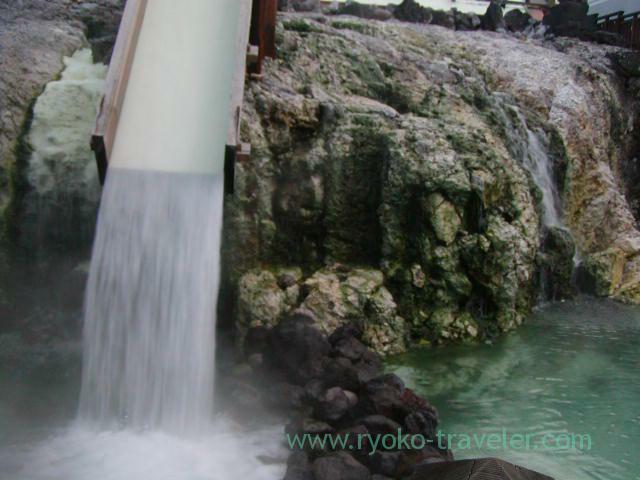 Kusatsu was crowded during the Golden Week (early may holiday). Well, I’m going to take a footbath.